Practise your design on paper until you are happy with it. Freehand geometric designs look effective and are easy to do. Make sure the crockery is clean and dry before you start. Paint on your design and leave to dry. - follow the manufacturer's instructions. 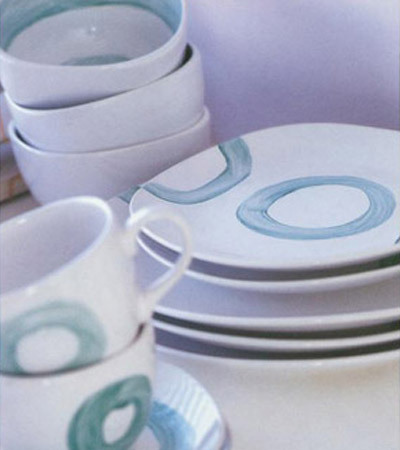 What you need: plain white crockery, paper, pencil, ceramic paints, paintbrush.